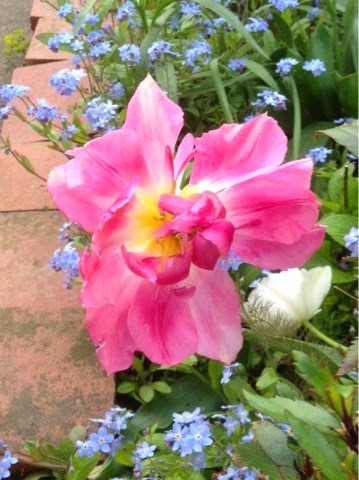 Spring in a cottage garden is the loveliest thing! 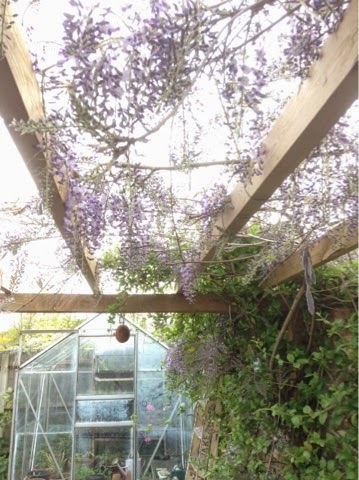 The wisteria is crawling over the pergola and is only going to get better through May. 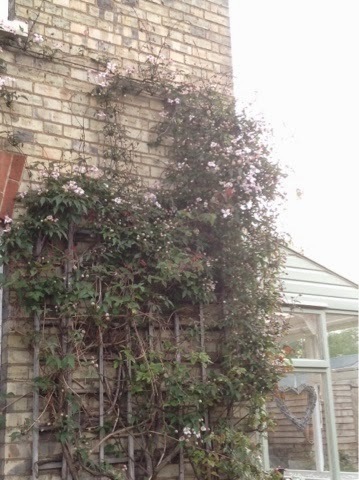 Clematis and roses are starting to ramble up walls and bloom into life. I just love an old house covered in pretty flowers! 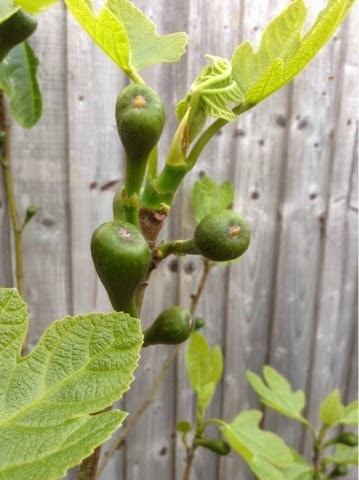 The figs are swelling on the tree, I hope they all make it! You can only get one fig tree that ripens here in the UK, it's called 'brown turkey'. There is nothing better than eating your own sun warmed figs straight from the tree. 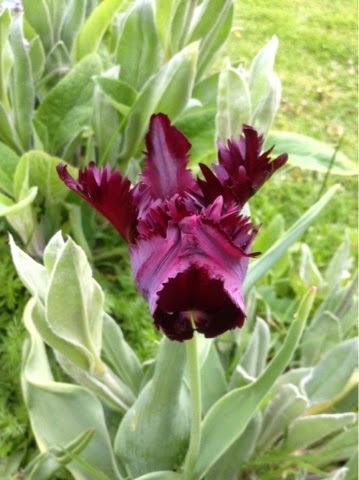 Tulips 'Black parrot' and 'Angelique' sit pretty amongst forget-me-nots in the boarders. The Iceberg rose is always the first and last to bloom in the garden. 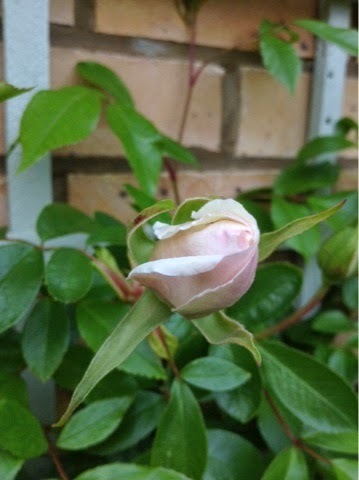 Roses are my absolute favourite so the excitement mounts from this first rose! Under the wisteria is the best place to sit! 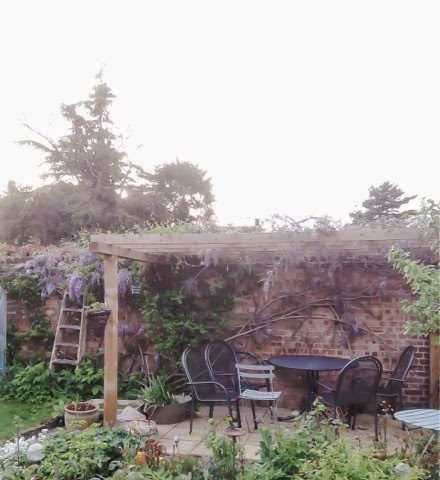 We had my sisters birthday party here last weekend on the warm bank holiday Monday, it's great fun although you do end up with wisteria flowers in your wine. I hope you enjoyed my mini virtual tour of our garden.